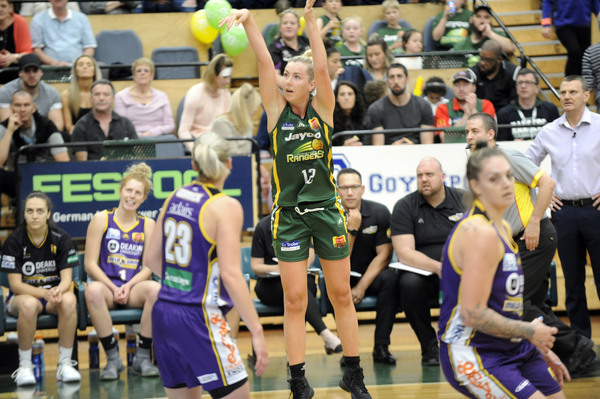 The Dandenong Rangers took on the Melbourne Boomers at Dandenong Stadium on Saturday afternoon in what is one of the best rivalries in the WNBL. Unfortunately, this time around the game didn’t live up to the hype as Melbourne’s staunch defence stopped Dandenong in their tracks, which also led to easy buckets for the Boomers on the other end. Boomer Steph Talbot got scoring underway with a triple and it was a sign of things to come as she dominated the game. Star Ranger guard, Bec Cole (7 points) kept the scoreboard ticking over in the first quarter as Dandenong took it right up to Melbourne. At the first break, Melbourne held a slender two-point lead, 24-22. Despite taking the lead after one minute of play in the second quarter, the Rangers were unable to stop Talbot as she drained consecutive triples. 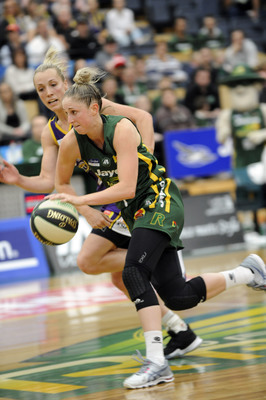 It set her team alight as they would go on to dominate the second half of the quarter. 11 points from Talbot and three triples from Jenna O’Hea in the second quarter saw the Boomers head into half time with a 58-45 lead, courtesy of a 34-23 second term. After allowing 34 points in the second quarter, the Rangers’ defence picked up considerably in the third quarter. It was a much-improved effort on the defensive end, but unfortunately, they couldn’t reap the rewards on the other end of the court. It was just a nine-point game with one minute to play in the third quarter, but the Boomers went on a 6-0 run to end the quarter and take the puff out of the Rangers comeback attempt. With one quarter to play, the Boomers held a 75-60 lead. The fourth quarter was one-way traffic as the Boomers ran away with a comprehensive win, 101-75. After a disappointing second half fade-out against the Lynx last week, the Rangers once again struggled mightily in the second half – scoring just 30 points in the final two quarters. Bec Cole (19 points, 3 rebounds and 3 assists), Rach Jarry (18 points and 5 rebounds) and Betnijah Laney (10 points, 8 assists and 4 rebounds) were strong performers for the Rangers, but it simply wasn’t enough. Melbourne’s Steph Talbot (27 points, 5 rebounds and 5 assists) was in incredible form, while Lindsay Allen (18 points, 5 assists and 3 rebounds) was impressive, as was Maddie Garrick (18 points, 7 rebounds and 4 assists) before she exited the game with an arm injury in the fourth quarter. The Rangers will look to bounce back against Adelaide on the road on Saturday evening.